...and send me your own travel experiences! 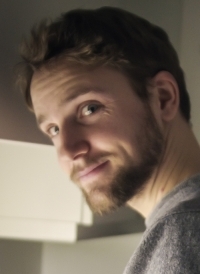 So, what are you trying to imply? I don't really get the joke. From one anonymous to another—you’re dense! Malachi keep up the great work and excellent work!! Oh, boy. This exchange tells me we're going to have a nice heated discussion this week! The joke is that in Asia, people think the main character's a local (even though he's not), and in America, people think he isn't (even though he is). By the way, is the Taiwanese flag Hokkien or Mandarin? I have never related to a comic as much in my life as this one. I'm a Chinese-American who lives in Singapore. I speak English with an American accent, but I speak Mandarin with Beijing accent. I have been mistaken for nearly every single Eastern and Southeastern Asian ethnicity/country. I don't know how many times I've been told "You English is so good!" from people who speak Chinese to me. This is AMAZING, and I just shared it with 50 people. 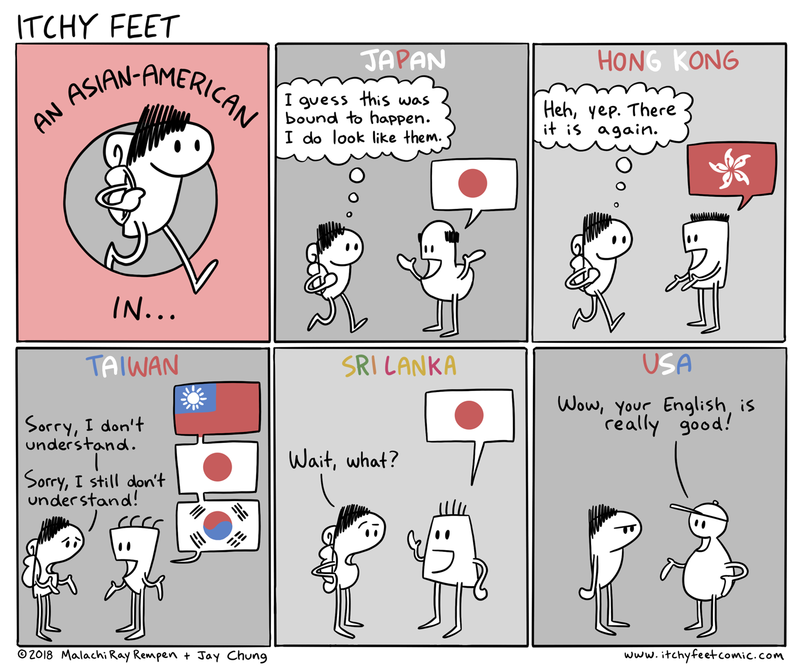 Finally some representation of Asian American travel experiences! As someone who has traveled to three other continents, please let me know if you want any stories/ideas for other comics. Not to mention I've studied and taught in the countries I've traveled to, and still get the similar comments intercontinentally. Thanks Andy! 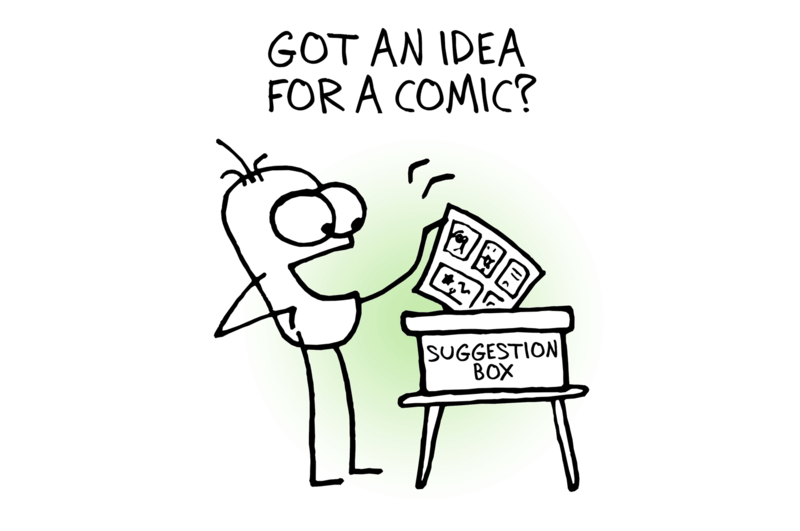 Yeah I'd love your comic ideas - I have a Suggestion Box lower on the page where you can submit them. Go nuts! My sister (European ancestry) and her friend (Japanese ancestry), both from here in the US, took some classes in conversational Japanese, then took a trip to Japan. People there treated her friend like an idiot when they heard her speak in Japanese, but then marvelled at how fluent my sister was. My sister's friend found it very frustrating. I had many similar experiences in Japan at shops and restaurants. (taught English there for a few years). I was with my friend, another teacher, we are both Canadian, but I have European ancestry and her family was from Hong Kong. All the servers would turn to my friend and try to talk to her and she would politely point to me as she didn't speak any Japanese at all. Then I would place our order, but they would then turn to her to clarify something and I'm like "Excuse me, please talk to me! The person who actually placed the order..."